Well hello, Friday, we’ve been waiting for you since, well, Sunday. As always on Friday I have a few faves for you! My girl, Adrienne, left me for a new job a couple of months ago so she and I don’t get to sit in the tornado shelter together during bad weather or have bathroom chats anymore and I miss seeing her face! We got together for lunch yesterday and it was so good to catch up!! Jacob’s school had Grandparents Day on Thursday and he was so excited to go to mass and a reception with his Grandpa, Nana, Pop, and Cokie! (His Poppie couldn’t make it because he had something going on at work.) I wasn’t there, of course, but my mom sent me these two pictures. The fact that our kids get to spend so much time with all five of their grandparents is absolutely priceless, and it’s definitely a favorite from this week. You guuuuuyyyyssss, look what Brian ordered!! Remember how I put on my fall bucket list two years in a row that I wanted to get a TV for the back porch and watch football games out there? Well, it’s finally happening! B decided that instead of getting a TV, he would order a projector and a giant screen. He set everything up earlier this week and we tested it out and it is amazing! I foresee lots of football and movie watching on the back porch in our future. Party at my house! For the last decade or so I’ve had what I like to call a “weird stomach,” and since I’ve had kids it seems to have gotten weirder. Basically that just means that sometimes I get an upset stomach for no reason whatsoever. I’ve also been having issues with bloating and what seems like abdominal swelling for no reason at all. 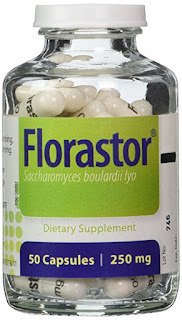 Several people mentioned to me that I should try using a daily probiotic to see if it helps, so I did just that. I started taking Florastor a little over a month ago, and you guys, I feel GREAT. My weird stomach days have decreased to pretty much none and my bloating is gone the majority of the time as well. I love this stuff and highly recommend! And no, this is not sponsored… I found it on my own and I love it! Also, there is a 20% off coupon on Amazon right now! You may have already seen my post on Wednesday, but I thought it was worth mentioning again since I love them so much. I shared my favorite jeans and they are under $30! Right now they are also 20% off! You can see all the details for the entire outfit and a bunch of ways that I styled the jeans here. I actually have a bonus sixth favorite for you because I just couldn’t let this one go! We went to see Ed Sheeran in Nashville a couple of weekends ago and James Blunt opened for him. Do y’all remember him? He had that hit You’re Beautiful back a few years ago? Well, I had never really heard much of his music until he opened for Ed Sheeran and he was really good. He performed one song that caught my attention so I ended up downloading his whole album earlier this week and I love it. His song Don't Give Me Those Eyes… YOU GUYS, I AM OBSESSED. I have listened to it no less than 30 times this week. #NotEvenJokingAndNotEvenAshamed Oddly enough, it’s about cheating, and no, I don’t condone that behavior, but THIS SONG, Y’ALL. It is SO good! You should definitely check it out! P.S. Did you see our mountain trip recaps here and here?? 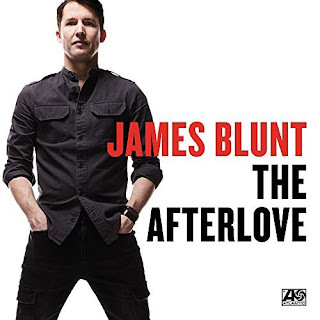 I forgot about James Blunt, will go listen to that song today! Aww grandparent day...so precious! Girl, still gaga over your jeans outfit this week....ADORABLE and a BIG YES to a TV on the back porch!!! Go Brian! Happy weekend beautiful babe! it is such a great song! And thank you, you too! Grandparents day is always so fun! How cute are your parents! We have a tv on our porch and love it. A screen/projector would be even more fun! I know ya'll will enjoy that over the months to come! It's like you read my mine with that probiotic recommendation! I was just talking to my mom about potentially taking one. Glad to hear it is working for you! I will definitely have to add it to my next amazon order. Thank you! Y'all will love the TV on the back porch! If we had a covered porch we would have done that a long time ago! I am looking into that probiotic! I have a crazy stomach, too! Do you take one or two pills a day? I love your back porch! And what a fun item to cross off your bucket list! I love the pics from the grandparent day. Have a great weekend! A projector on the porch- that's awesome! Have a great weekend! The projector will be so fun! Ahhh I'm definitely coming over for football, haha! And Y E S to probiotics! When I first started having all my stomach issues, it was the first thing I've tried and still use today! Happy Friday!! That's so good to know! I hope they keep me in check! You all are going to have so much fun on your back porch with that screen! I'm totally jealous. Enjoy your weekend Lindsey! What a fun week! Yay for a projector for the porch! That will be so fun! Yes, we are really excited about it!